This Spectrum Noir Colorista range has been specially developed for recreational colouring with the innovation and quality to take things to the next level. This range includes the first and only marker pen designed specifically for adult and recreational colouring. This Paper Pad has colourable glitter which brings an innovative new twist to adult colouring, With clear spot-glitter effect that can be over-coloured with Colorista Markers for a simply stunning end-result! 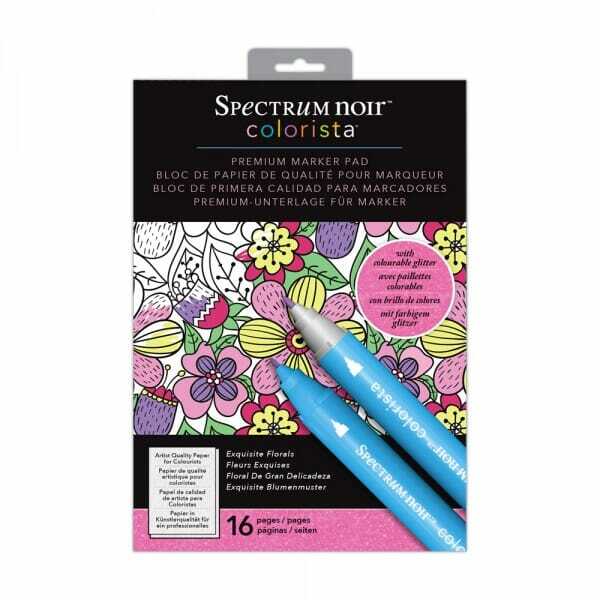 Customer evaluation for "Spectrum Noir Colorista A4 Marker Pad - 16 Pages Exquisite Florals"